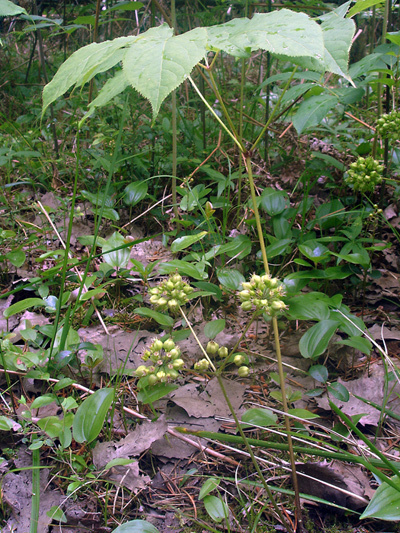 In fact Wild sarsaparilla, although edible, is not sarsaparilla, or even of the same family, the true sarsaparilla (Smilax aspera) is native to South America, and even if we can find it worldwide, it does not grow in Quebec. The Wild sarsaparilla is of the same family as our ginseng (Panax quinquefolius) so our speculative little blue beings would be very febrile! Many culinary and medicinal uses.